Come join SVU-DC and SAS at the Villian and the Saint in Downtown Bethesda to listen to traditional Horňácká music with one of the best enssembles in this genre The Petr Mička Cimbalom Band with Special Guest Bob Rychlik. The Villian and the Saint is a relatively new establishment that focuses on local and international music in our area. There is room for dancing as well. Just one block away from Bethesda Public Lot 10 so parking is fairly easy to get. Tickets are currently on sale for $10.00. Space is limited so please book your ticket as soon as possible. Hope to see you there! Petr Mička’s cimbalom band from Horňácko region has been active on the Moravian folkloric scene for nearly 20 years. 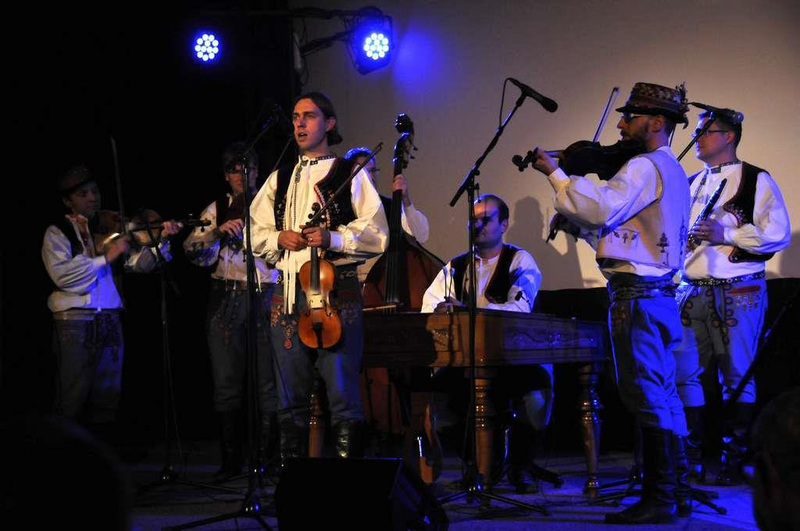 During the period of its existence the band has developed into a highly sought out enssemble that combines traditional folklore with other musical forms. Click here to learn more. Bob Rychlik is multi-instrumentalist and internationally recognized player and teacher of fujara, koncovka and other overtone flutes. Among notable performances you would find Library of Congress, Kennedy Center, St. Petersburg Russia, but also many Folk Festivals in Washington D.C. and Maryland, Czech and Slovak ethnic festivals in Baltimore, Miami, San Diego, Virginia, New Jersey, at French Embassy, NATO Headquarters at Norfolk, and 5 hours playing marathons at Slovak Embassy during annual Open door day. He established and co-organized 3 International fujara festivals in Slovakia, and was teaching fujara workshops in US, Slovakia and Czech Republic. He appeared with fujara in film, on TV, and radio in US, Czech and Slovak republic, and has been teaching fujara and koncovka week course at Common Ground on the Hill at McDaniel College, Westminster, Maryland every year since 2011. Find out more and register here External link to Eventbrite. Visit the event website for a detailed agenda and more specifics as it becomes available.